I got my first spiralizer in 2008. 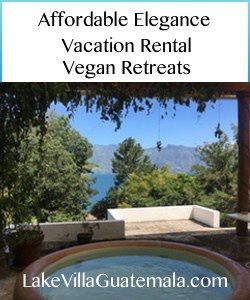 I had just switched to a plant-based diet, and very quickly started eating 85% raw foods. Then, somehow, the spiralizer was pushed to the back of the cupboard and I forgot about it. With my increased focus on nutrient-dense and unprocessed foods, the spiralizer has once again become a star in my kitchen. This recipe for zucchini noodles with avocado pesto is one of my favorite ways to use it. While some recipes call for zucchini noodles to be cooked, I serve them raw. I do, however, like to dehydrate them for about an hour. 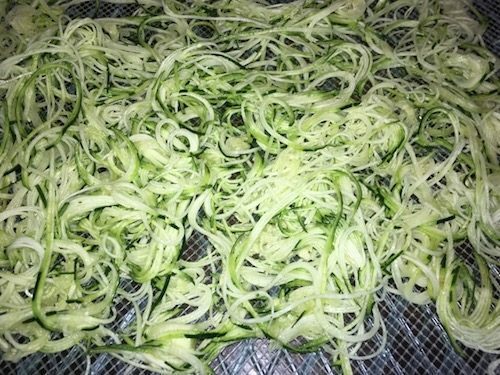 This process removes some of the zucchini’s moisture, so the noodles don’t release moisture into the sauce and make it runny. Don’t have a dehydrator? Spread the noodles on a baking sheet lined with paper towels and put them into an oven preheated to 200 degrees (F). Cook for 20-30 minutes, checking carefully as thin noodles will cook faster than thick noodles. Salting the zucchini will draw out more moisture, but I prefer to not add salt. My old spiralizer only makes thin “angel hair” style noodles. My new spiralizer will give many more options for types of noodles. 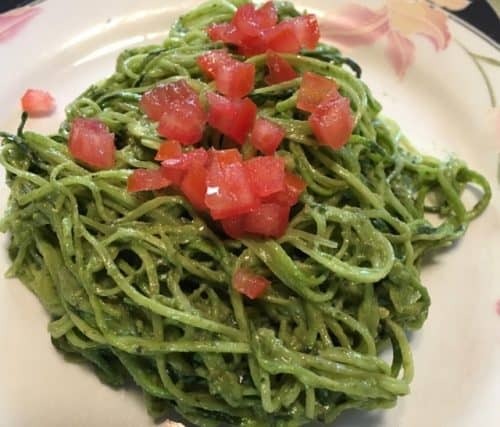 The thin noodles are perfect with the avocado pesto, though. I prepare the zucchini, put it in the dehydrator, then make the pesto. When the noodles are ready, it takes only a minute to toss them with the pesto and serve. I use one medium-sized zucchini per person as a main dish. This also makes a great side dish. Turn the dehydrator on to medium heat (or preheat the oven if using the oven method described above). Spiralize the zucchini, cutting long strands into lengths the size of spaghetti noodles. Spread the zucchini onto a dehydrator tray. For larger zucchini, you’ll need a second tray. Place in the dehydrator. Dehydrate for about an hour, or until the noodles are slightly warm and have lost some of their moisture. Place the zucchini noodles into a bowl and add the pesto. Toss until the pesto completely coats the noodles. Place on plates and garnish with diced tomato. Serve immediately.